From our site we provide a number of timber related services including a fully equipped sawmill, timber treatment including stains and finishes, a well stocked retail area and delivery capacity. From our fully equipped modern milling facility, which includes 2 Weinig moulders, 2 cross cut saws, and 2 band saws we are capable of machining, cross cutting or re-sawing large quantities of timber in a short timescale. Our modern 6 head planer/moulders can be set up to machine to standard and bespoke patterns – so do not hesitate to contact us if you are looking for something out of the ordinary! We moved to our current site on South Humberside Industrial Estate in Grimsby in 2003 and have invested in our plant and machinery since then. Sawing can be carried out for customer’s orders or for outside contracting to other importers as we are the only high volume sawmill left in the area. A large number of our timber cladding orders are pre-stained or painted on our premises before being delivered to site and this can now be applied to many of the timber products that we supply. We can offer any water based product currently available from the mainstream manufacturers such as Sikkens, Teknos and Dulux. All you need to do is supply us with the reference code for the product and we will work out the price for you. 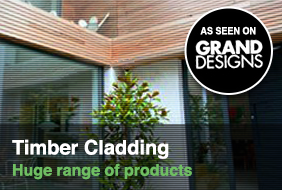 ‘Non-Com Exterior’ from Lonza Wood Protection, this is dealt with off-site and the lead in time is 5 – 6 weeks. HR-Prof from Fire Retardant UK Ltd, this is a water based product that we can apply. The lead in time for this treatment is around 2-3 weeks. All timber that we hold on stock we are able to get pressure treated with varying types of treatment for different applications. The most popular treatment that we arrange is ACQ Permawood (Green Treated) which has about a 7 day lead in time. We can also offer Osmose Vac Vac (clear treated) and Vac Sol (60 year treatment), these have varying lead in times of upto 14 days. Please contact us on 01472 350151 if you require further details. 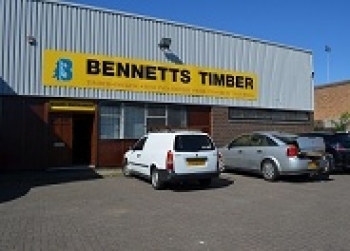 Take a trip to Bennetts Timber and you will find that as well as offering quality timber products at competitive prices we also have a well stocked retail counter which stocks a huge range of products, see our DIY section. 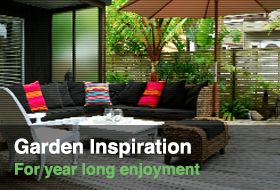 So when purchasing your decking you can also buy all of the accessories to go with it including frame, posts, newels, screws, nails, glue and silicones, hand tools and stains. Due to customer demand we now also stock roofing felt, plasterboard and many other accessories. Delivery is an important part of the service that we provide and we can arrange delivery all over the UK. Please see our Delivery section for further details.